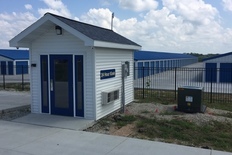 Wherever you live in the Paris, IL area, you’ll find the affordable self storage options you’re looking for at Storage Express. You can find us at 520 E Jasper St, behind Taco Bell and next to Kroger. You need a storage unit. How can you get anything done with all that clutter? Or maybe clutter isn’t your problem. Maybe you’re in the middle of a move and just need to get some of your things out of the way for a while. Whatever your reason for needing some extra space, we can help you solve your problem! Storage Express offers fantastic storage options at low prices. And, what’s more, you can access your things any time, 24 hours a day when you store with us! From our drive-up access to our online bill pay feature, storing with us is easy. 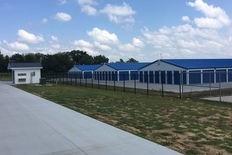 Rent or Reserve your unit with us today! 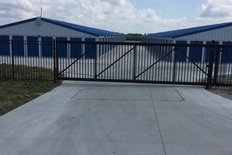 Storage Express is a professional, efficient company that has been a pleasure to deal with. They are available to address concerns any time of day and they are always working to be sure their customers are happy. 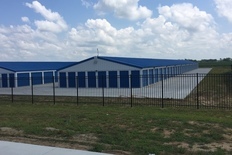 I have rented storage in several places around the country. This company is the best. Thanks, Donna! You got that right. We're available 24/7, 365 days a year. We appreciate your kind words and great feedback.. We strive to exceed expectations. Reviews like yours motivate us even more. Thanks again.